Calling all teens! 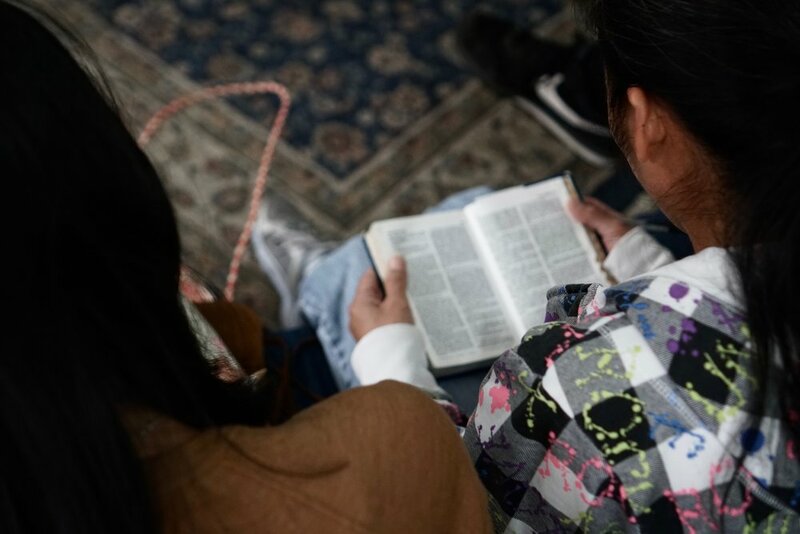 ETF is an opportunity to connect for fun and studying God's Word. We play Foosball, eat snacks, and are currently studying the book of Acts. This study is lead by EFC Elder Rani Borman and Ronnie Calvert. English Language Adventure is our English as a Second Language ministry available to everyone who wants to learn English. We meet druing the Sunday morning study time (11:20am-12:20pm) and offer beginner, intermediate, and advanced levels based on the sermon that morning. There is no cost to be a part of this ministry, and English speaking volunteers are welcome to help teach. Contact englishfellowshipchurch@gmail.com for more information. EFC Young Adults is a ministry geared towards single college students and young professionals. We yearn to be a Spirit-dependent community of disciples, dedicated to God’s Kingdom, who treasure God above all, pursue Jesus, and love one another. We meet from Bible Study every Thursday evening, from 7-9pm in the EFC classroom building as we seek to understand God's Word and apply it to our lives. We also have events to grow in our relationships with one another and serve the community. Our desire is that we would grow together as as disciples of Jesus Christ. For more info, please e-mail us at: jeremy.mcmil@gmail.com.